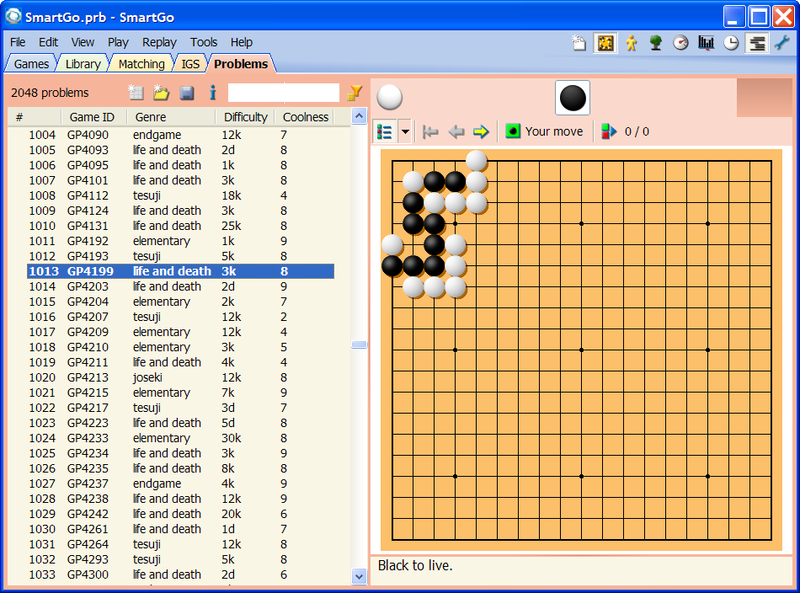 SmartGo offers a wide range of functions for Go players from 20 kyu to 6 dan. Its powerful features are easily accessible in a well designed user interface. The main functions in SmartGo are grouped into tabs that organize your Go activities as well as your games. 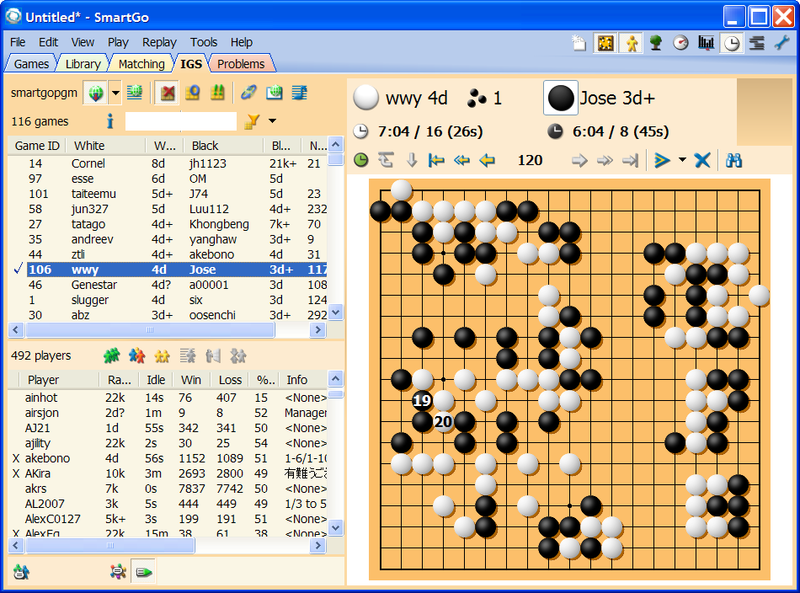 Play against SmartGo or other programs and keep track of all your games. Create separate tabs for your own game collections, such as your tournament games, for example. 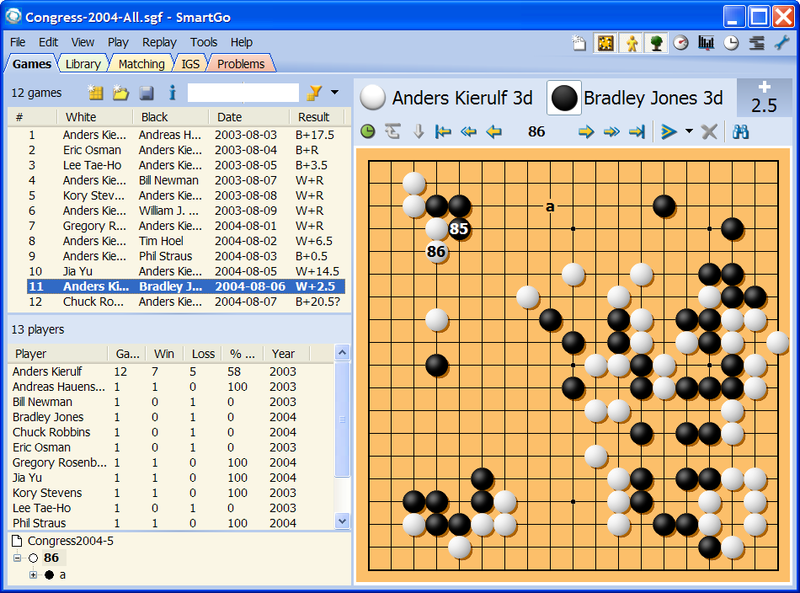 SmartGo comes with more than 101,000 professional games (the complete GoGoD collection). You can sort, search, and filter to find specific games, then replay and study master games to become stronger. 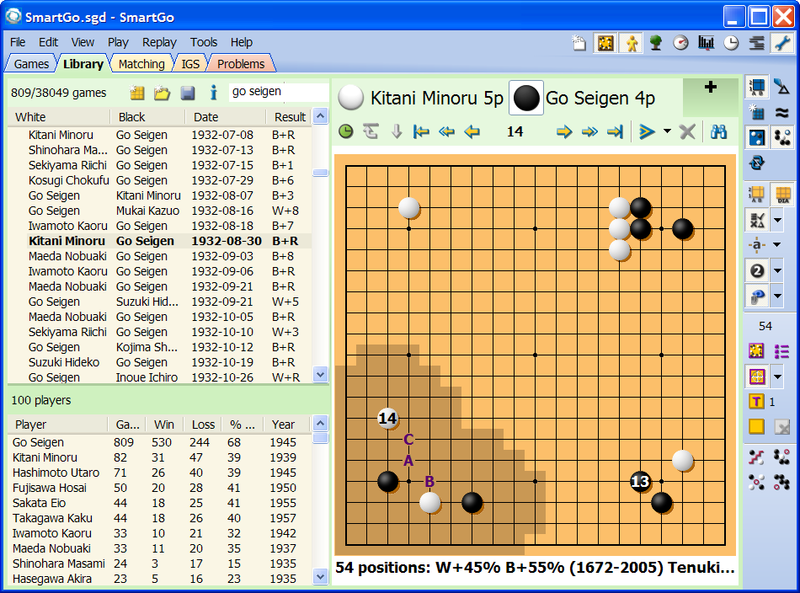 SmartGo can search through all games to find specific positions and show statistics for the moves chosen by professionals. Find matching positions in the library of professional games. 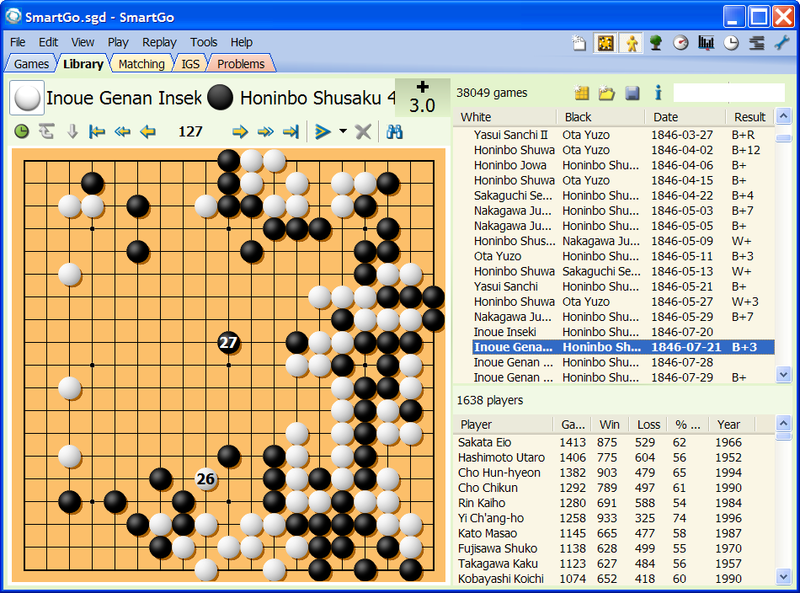 Study joseki in the context of your own game, and compare with professional play. See how professionals continue after your favorite fuseki. Play against other players around the world on the Internet Go Server (IGS). Observe exciting games or even title matches live. SmartGo comes with over 2000 problems, at all degrees of difficulty. Study life & death and tesuji problems to become stronger. Download the full program for free and play with it for 15 days. We’re confident that you'll be impressed by the depth and breadth of SmartGo’s features, by the quality of its implementation, and by the design of its user interface. No other Go software comes even close. Online Help: Check SmartGo’s documentation for questions about specific features.